It's Rhubarb season and I couldn't be happier. 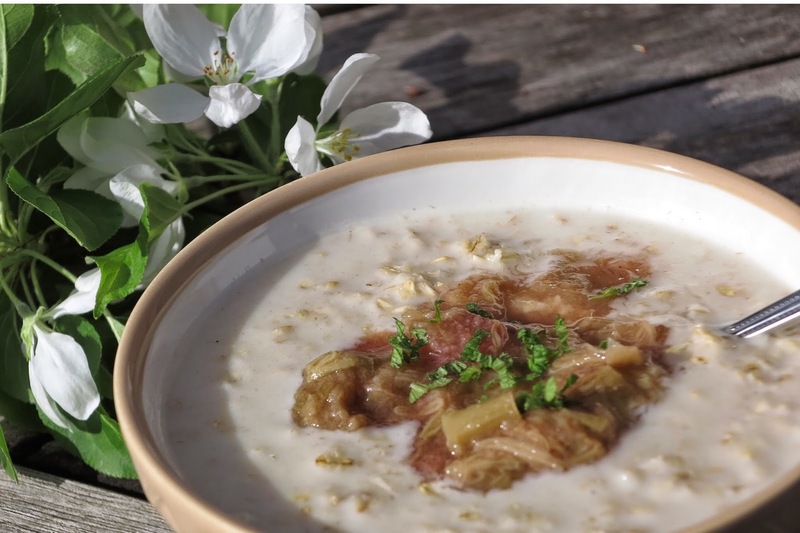 We had a whole bunch of Rhubarb that needed using up, so I came up with this amazingly quick and healthy compote. It uses a tiny amount of maple syrup as the sweetener to balance the tartness of the rhubarb and acidity from the lemons, giving it a very clean and refreshing taste. It's so versatile, but personally I love to eat it with my morning porridge with a scattering of fresh Mint...yum! Add the Rhubarb, maple syrup, lemon zest and juice and ginger to a small saucepan. Pour in enough water to just make a layer on the bottom of the pan. Bring to the boil and leave to simmer with a lid on for 10 minutes until the rhubarb is just tender. It will keep well for a week or so. Serve and enjoy!